We are going to talk a little bit today about forum selection for filing your defamation lawsuit, in consideration of forums with anti-SLAPP laws. Before we discover what anti-SLAPP laws are, let’s discuss the meaning of SLAPP. A SLAPP lawsuit is technically called a strategic lawsuit against public participation. A SLAPP lawsuit is a suit filed against someone who is attempting to rightfully exercise their rights of free speech under the First Amendment but is filed under the guise usually of a defamation claim. The goal of a plaintiff under a SLAPP lawsuit is generally to silence the speaker using a tenuous defamation claim. 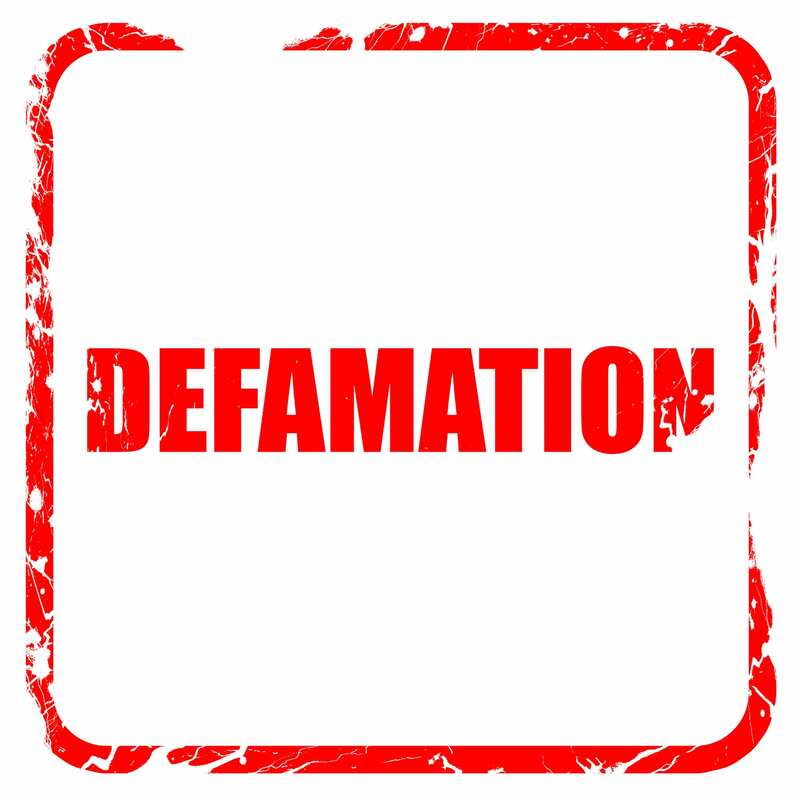 Because the laws in various states are different regarding the thresholds relative t what is defamatory and what is not defamatory, it is often difficult to determine whether a defamation claim is a SLAPP lawsuit or not. If you are a plaintiff intending to file a claim for defamation, it is often better to consider a forum, if it is available, that does not have an anti-SLAPP law in place for reasons we will discuss. An anti-SLAPP law generally is designed as a remedy from SLAPP lawsuits and under most statutory schemes for anti-SLAPP laws under the various states that have anti-SLAPP laws, the plaintiff files a motion claiming their rights and statements are protected under the First Amendment and usually claim they either have a valid First Amendment right they are exercising or that they are otherwise providing speech or commentary on a matter of public concern. The burden then shifts to the plaintiff to establish with admissible evidence a prima facie case or legally viable case that the content being complained about is legitimately defamatory. If the plaintiff does not meet its burden and the Court dismisses the case, then typically the plaintiff is responsible for the defendant’s attorney’s fees incurred in the lawsuit. Filing a defamation lawsuit in a state with an anti-SLAPP statue under some circumstances carries additional risk for the plaintiff, especially in cases where the claimed defamation is a close-call in terms of meeting thresholds established by that state for maintaining defamation claims. Presently, twenty-eight (28) states have enacted anti-SLAPP laws as well as the District of Columbia. Those states with anti-SLAPP statues are: Arizona, Arkansas, California, Delaware, District of Columbia, Florida, Guam, Georgia, Hawaii, Illinois, Indiana, Louisiana, Maine, Maryland, Massachusetts, Missouri, Nebraska, Nevada, Mexico, New York, Oklahoma, Oregon, Pennsylvania, Rhode Island, Tennessee, Texas, Utah, Vermont, and Washington, at the present time. Almost all states have considered some form of anti-SLAPP legislation over time and the trend appears to be moving in the direction of the anti-SLAPP proponents. In fact, there has been federal anti-SLAPP legislation proposed, which is sustaining some momentum especially in the most recent presidential campaign where Donald Trump has threatened lawsuits against the media defendants for allegedly defamatory articles about the candidate. One would think in a Trump administration with Mr. Trump’s views on the media generally, and a republican legislature, that federal anti-SLAPP legislation not, however, on the horizon anytime soon. States will nonetheless continue to consider adoption of anti-SLAPP statues. The bottom line is if you have a choice of forum in a state where anti-SLAPP legislation has not been enacted, it is often wise to review the options concerning filing in a state with anti-SLAPP laws versus states without anti-SLAPP laws to minimize any risk that a Court would find your defamation claims are within that state’s definition of a strategic lawsuit against public participation. Your best option is to consult in advance with an attorney experienced in both defamation and anti-SLAPP Laws to properly prepare your defamation lawsuit.